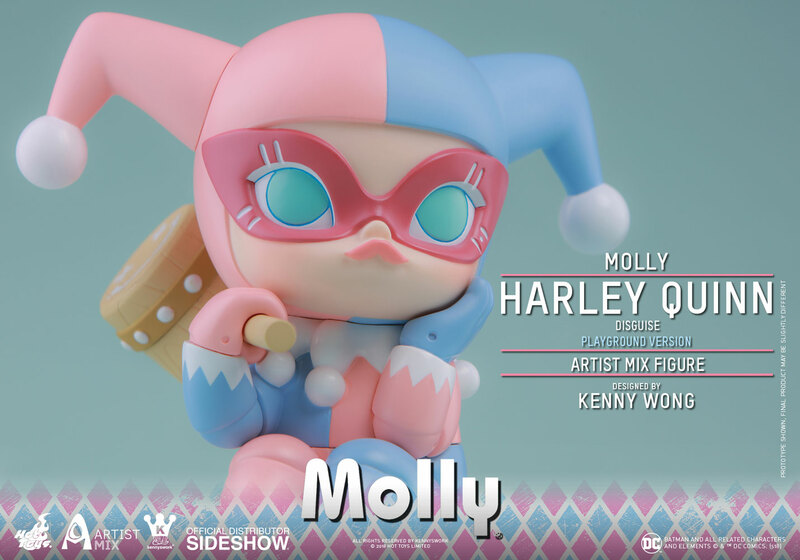 Hot Toys has continued to collaborate with Kennyswork offering fans and collectors special kinds of collectibles. 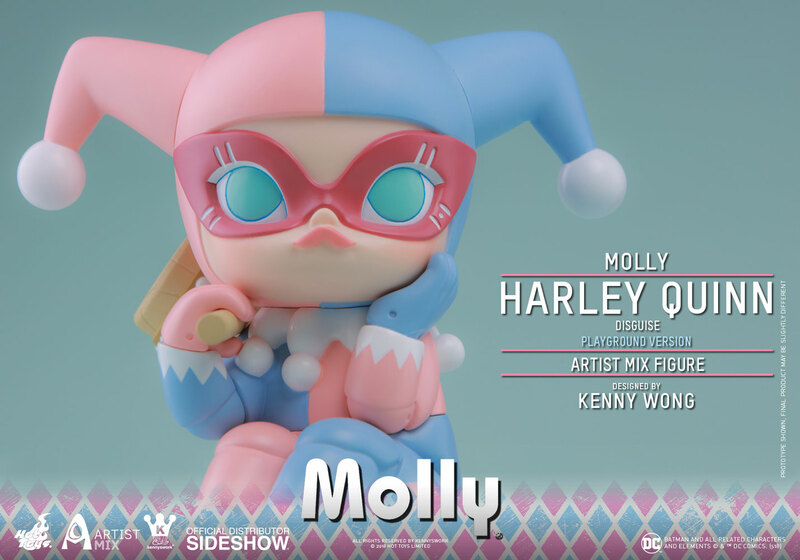 Sideshow and Hot Toys are pleased to announce the newest addition to Artist Mix Collection - Molly (Harley Quinn Disguise) Playground Version Artist Mix Figure Designed by Kenny Wong! 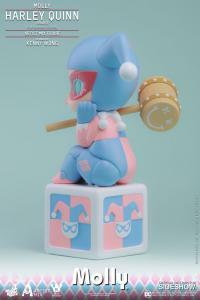 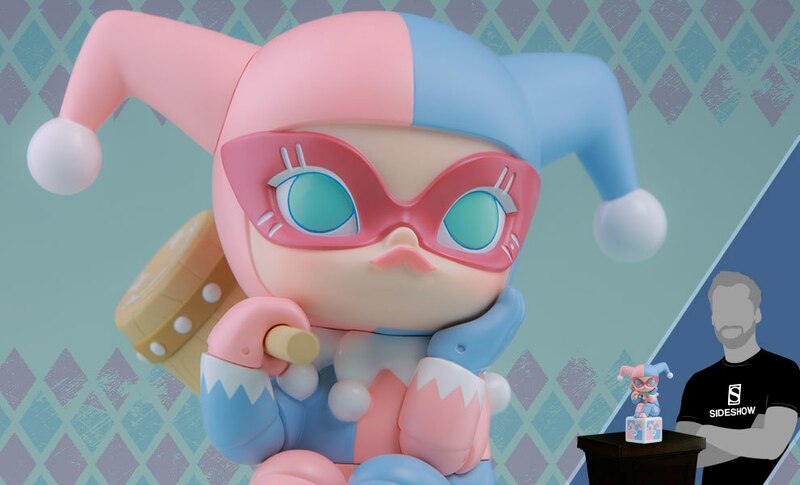 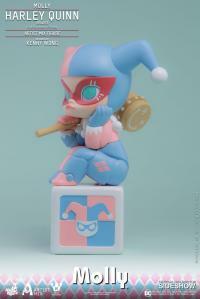 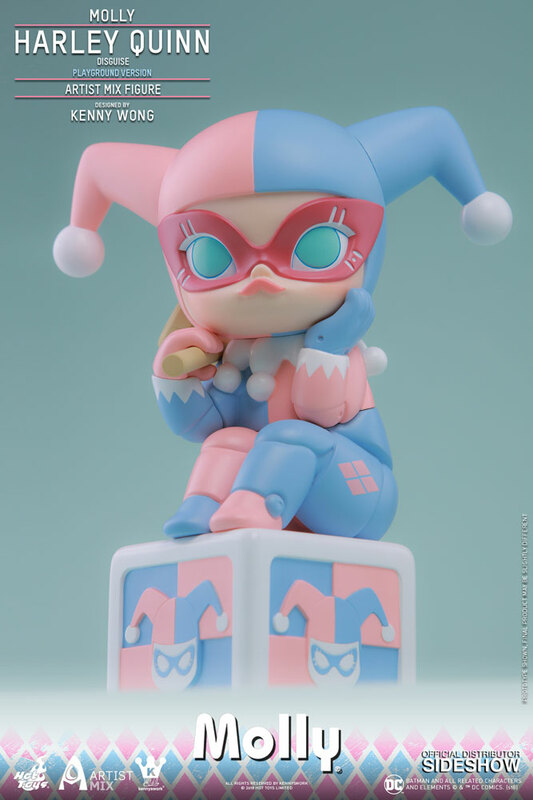 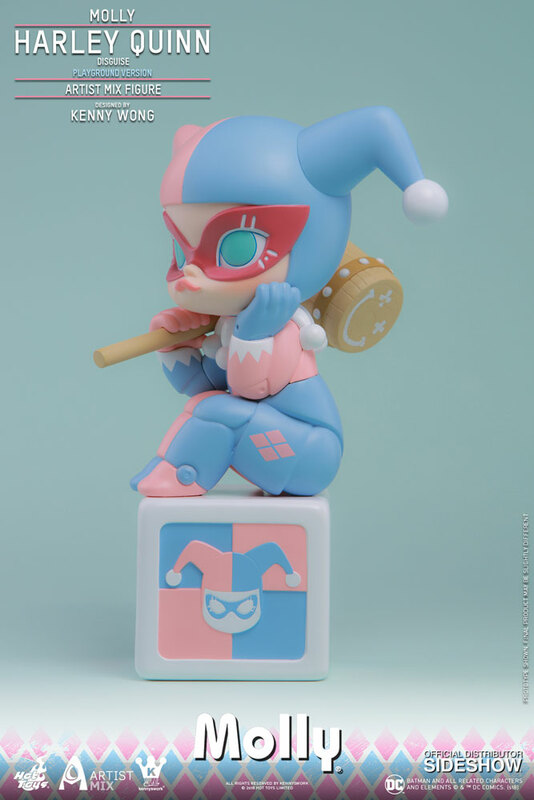 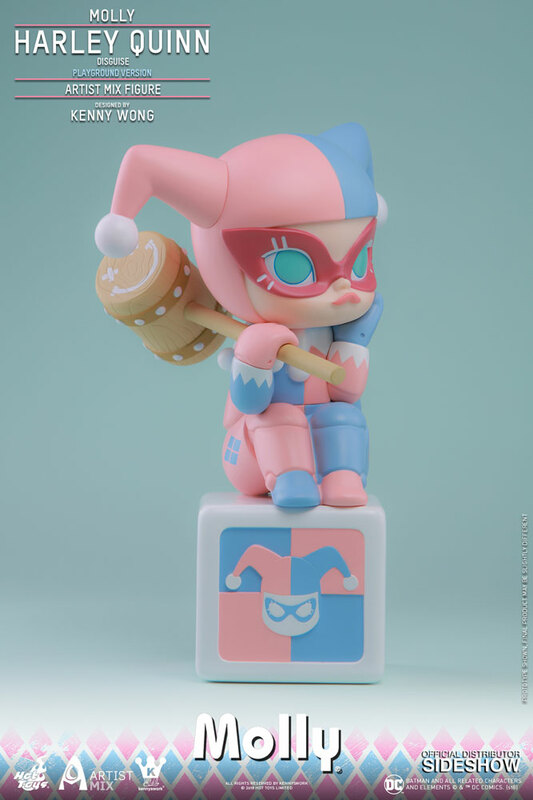 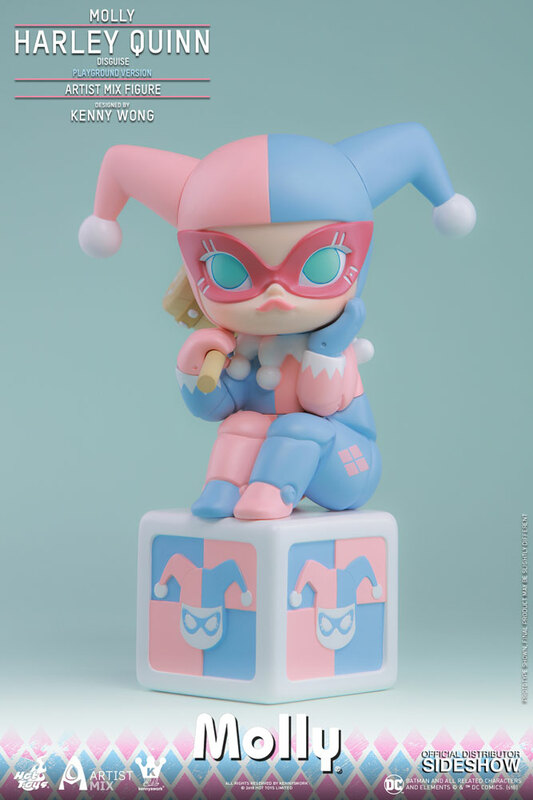 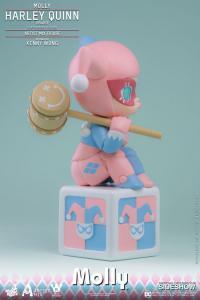 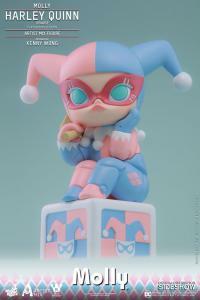 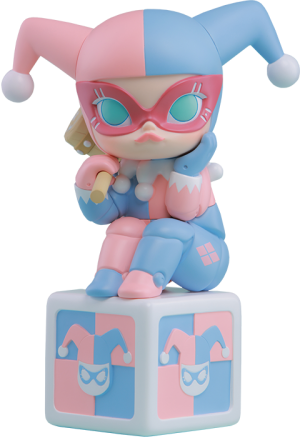 Inspired by the fabulous combination of pastel colors that gain their soft glow from the white added to the bold parents, the latest Artist Mix Figure stands approximately 23cm in height and features the adorable girl character “Molly” dressed in Harley Quinn’s jumpsuit painted in pink and blue which go hand-in-hand together. The Artist Mix figure is sitting on a Jack-in-the-box and gripping an oversized mallet. 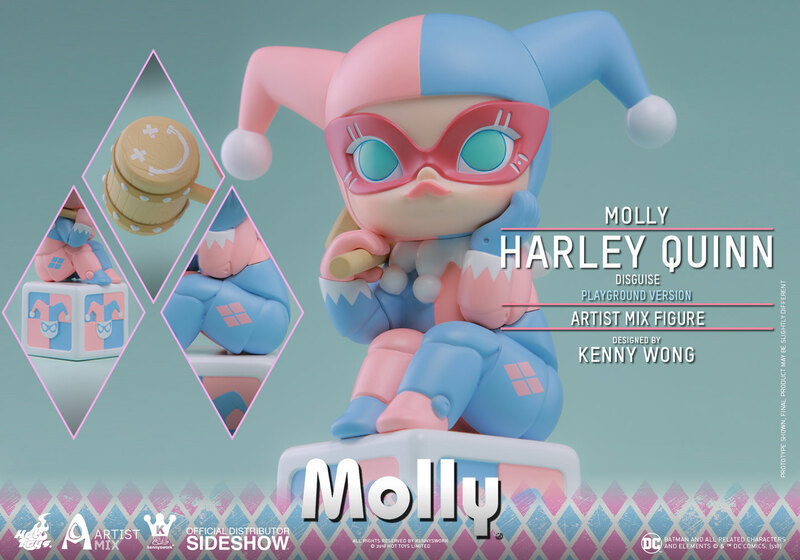 Kennyswork’s distinctive art style has unintentional blended cohesive colors element that implies sweetness and innocence with Mr. J’s favorite girl perfectly. 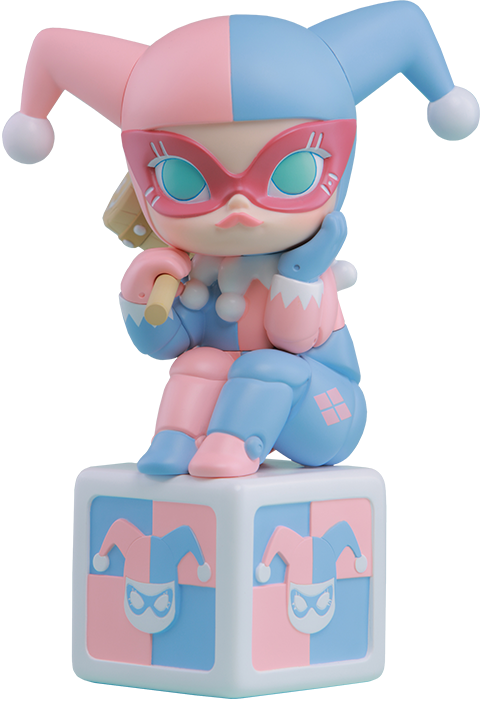 Available only in selected markets. 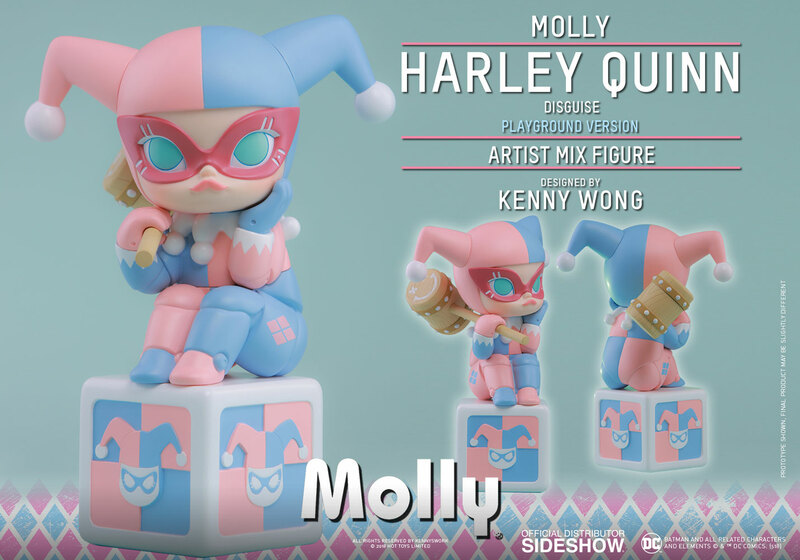 This lovely Molly (Harley Quinn Disguise) Playground Version Artist Mix Figure will bring a calming influence to your unique collections!